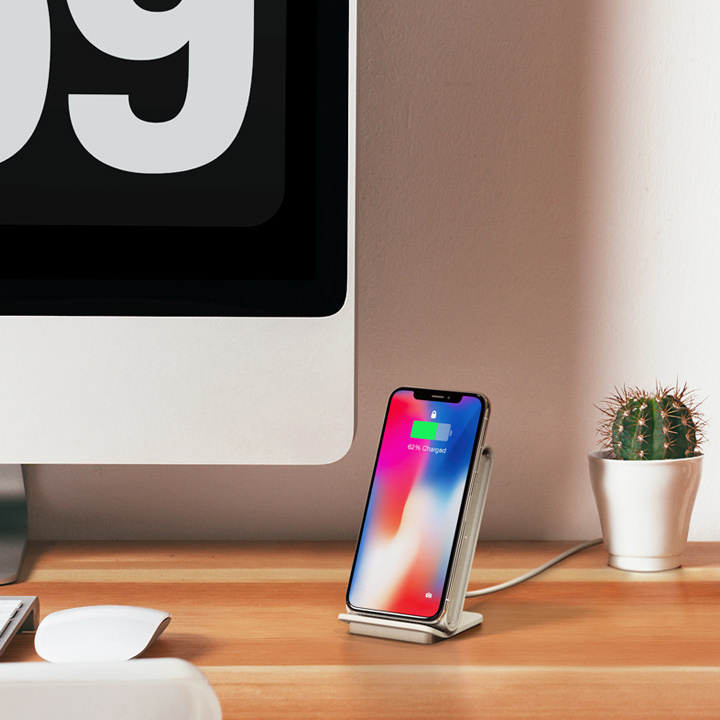 The iON Wireless fast charger stand integrates the power of Qi wireless fast charging technology with an angled design ideal for viewing content at home or in the office. The wireless fast charger for Samsung or iPhone allows you to charge conveniently without cords by simply resting the device against the anti-slip pad. 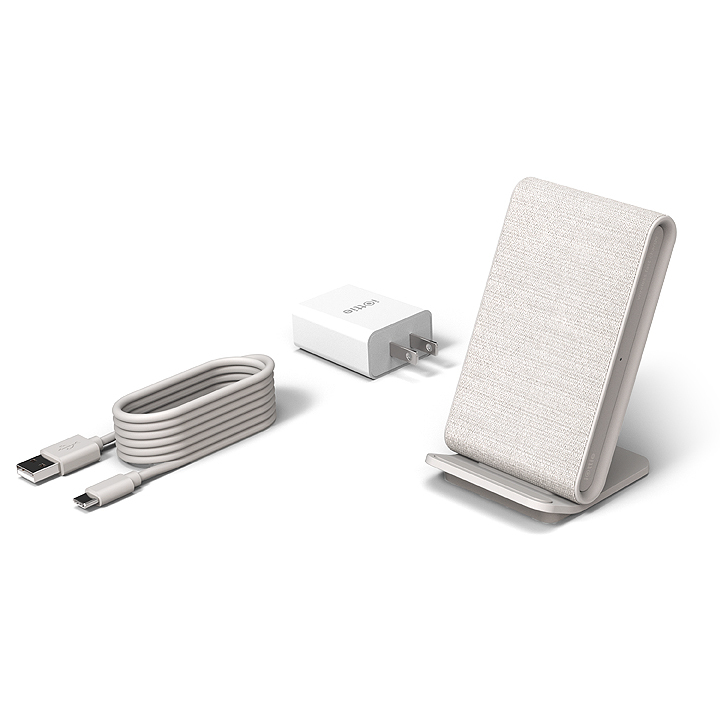 The design of the wireless phone charger features two Qi coils allow for wireless charging in portrait or landscape mode. 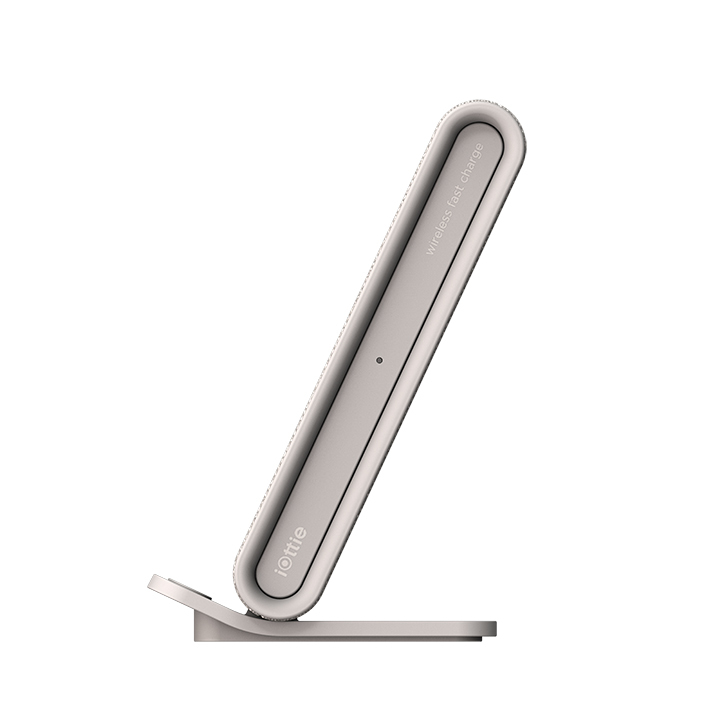 The iON Wireless Qi charger Stand is designed with a 65 degree tilt that allows for viewing content or notifications while charging wirelessly at home or in the office. 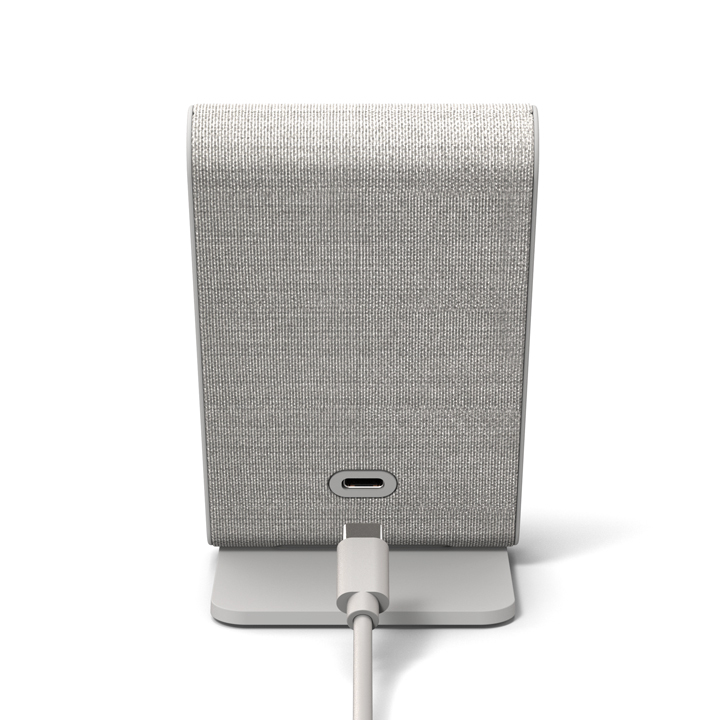 Anti-slip pad on the base of the wireless charger provides extra traction on smooth or textured furniture surfaces. 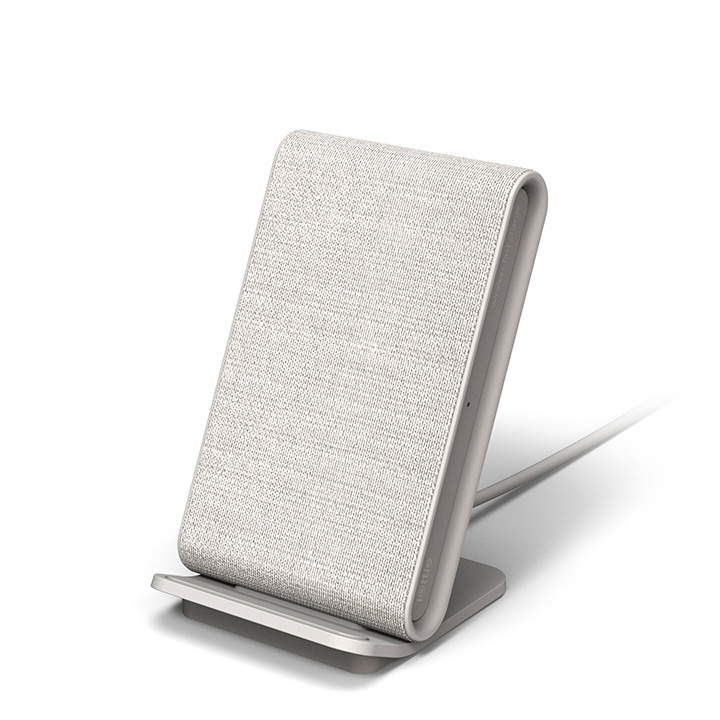 The iON Wireless Fast Charging Stand from iOttie is available in three soft fabric wrapped finishes that blend seamlessly into any home or office decor. 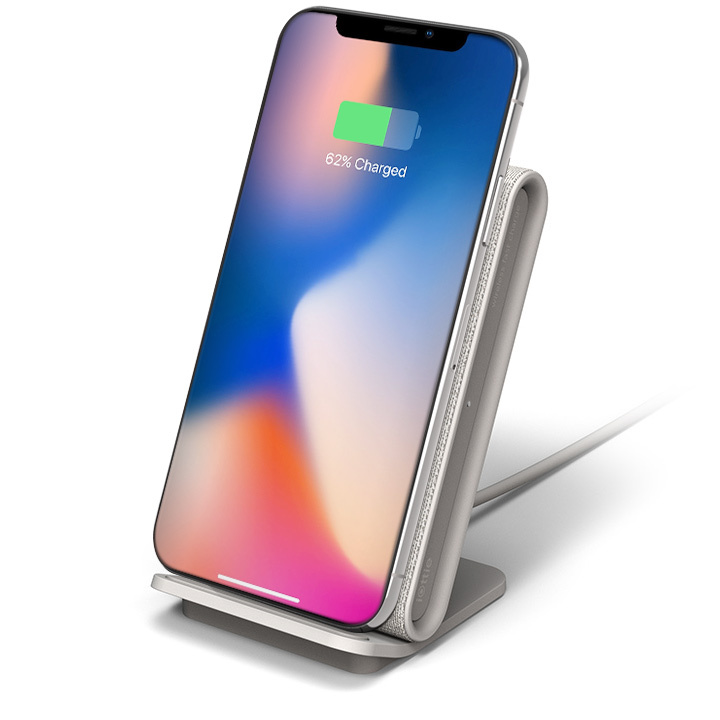 The iON Wireless Stand features Qi wireless fast charging technology to charge 40% times faster than a standard Qi wireless charger, delivering 10W on Samsung or Android and 7.5W on iPhone devices. The wireless charger stand features two Qi coils that allow for charging and viewing content in portrait or landscape mode. Charge smartphones with cases up to 7mm in thickness on the wireless charging pad.